Today's post is short and SWEET! It's so simple... and so cute! Make rice krispie bars... I use the recipe right on the box. While they are still warm, add some peeps to the top! They were gone within an hour of me making them! All I can say is too cute for braces! Adorable! Great Idea - Love It! 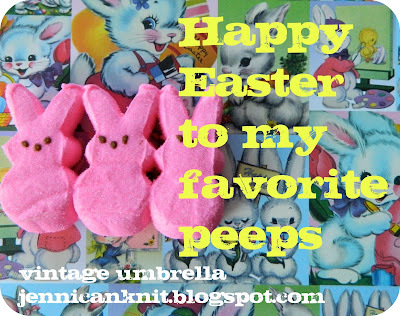 Also like the cocoa peeps and M&M idea as well - Guess what we're having for Easter! Thanks!